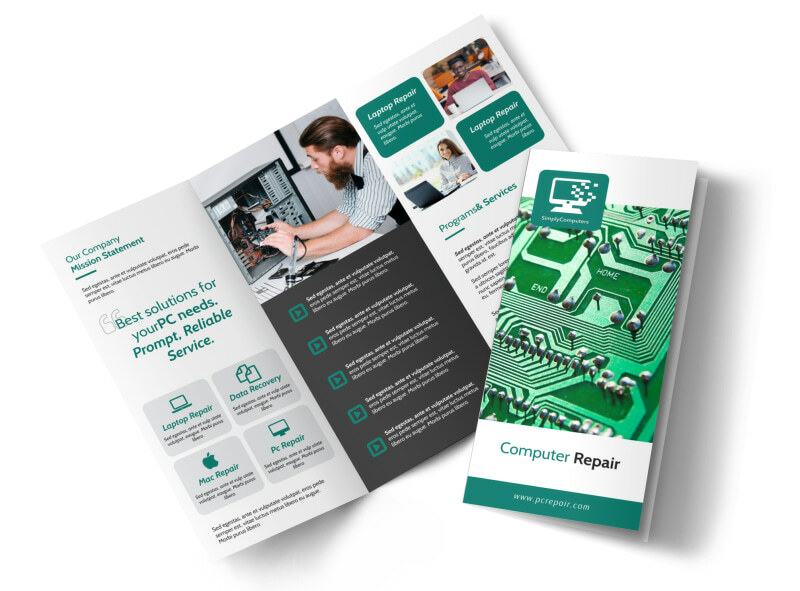 Customize our Green Computer Repair Tri-Fold Brochure Template and more! 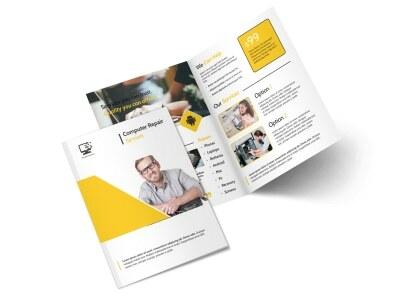 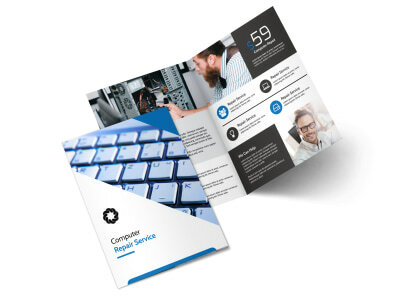 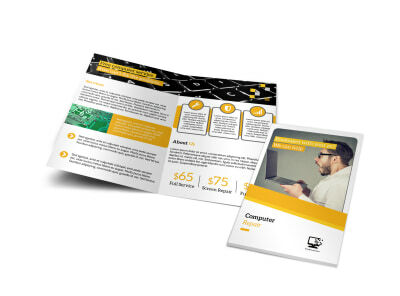 You’re an ace at fixing broken PCs and fried hard-drives, so let customers know about it with this customizable trifold brochure for your computer repair biz. 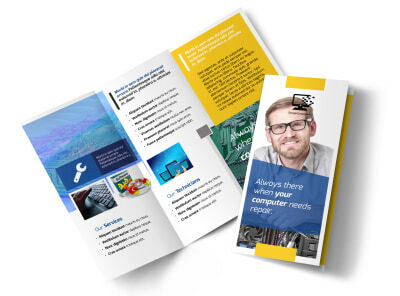 Give a rundown of your rates, the services you offer, and how to schedule an estimate. 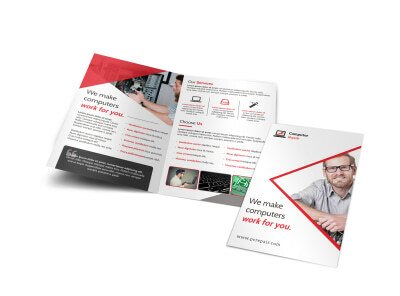 Print your brochures from your own equipment to get them in hand quickly and get them into your customer's hands faster.